It is perhaps difficult to understand why our leaders and mainstream media have not fully recognized and discuss openly the real and present danger that nuclear weapons and facilities pose to our communities worldwide. It is possible that political elites know, but they are perhaps too stupid, or too reckless and arrogant, so they simply ignore what it all means. We are currently entering the hot zone. The nuclear fuse can easily be lit now with Syria and Iran as prime NATO and Israeli targets. Just like “Mad Dog” Gaddafi suffered a trial by media, few western spectators will have much sympathy for Syria’s Basher el Assad. Those in the US and Europe who are sworn to protect Israel’s ‘security’ will also have you believe that Iran does have quite long-range missiles. 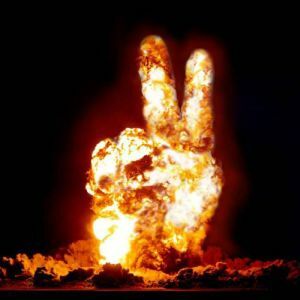 ALL QUIET ON THE WESTERN FRONT: Elites know, but do want to talk about the iminent danger of nuclear material and the predictable use of these weapons. But what they will not tell you is that Iran could also take out the Dimona bomb-making factory the Zionist militarists are so terribly proud of. Any day of the week, weekends too. The same works in reverse as Israel could also target a nuclear power facility in Iran. Who would blink first? The same applies to Hezbollah. They aren’t going to like their el Assad “patron” going down the tube. In theory, they could deploy a Scud-type missiles with enough range to hit the Dimona facility. The environmental and economic blow-back from any such incident would be huge, and in most cases, the regions involved would not be able to recover- ever. So what are all these massive nuclear arsenals for, if not for military use? Why has depleted uranium already been sprayed via US, NATO, and Israeli munitions across the Middle East and North Africa? Still, no one in the MSM or in our halls of government seems to take the asymmetric nuclear war threat seriously – so far. The venerable and creaking NPT Treaty, first signed by only 3 States in March 1970 (US, USSR, UK), which now has 189 member state signatories, but even more than in 1970 the treaty- on its face, has no meaning. Only explosive nuclear weapons, that is conventional nuclear weapons, are covered and theoretically limited by the treaty. The treaty makes no mention of Depleted Uranium (DU) weapons, or the vast Dirty Bomb targets of civil nuclear power reactors. This in no way prevents these “Doomsday Machines” being the most daunting nuclear weapons we face, taking account of their annual nuclear waste production, their in-reactor nuclear materials, their fuel rod stores and reprocessing centres, uranium mining wastes, reactor assemblies and nuclear fuels used on the world’s 1100 submarines and surface ships powered by the atom, and the ever-growing numbers and amounts of lost or stolen nuclear equipment and materials. Taking only the world’s presently operating 430-odd civil power reactors (about 441 before Japan’s Fukushima disaster), their annual production of nuclear wastes is around 30 000 tons per year, to be sure much of it defined as low-level, relatively low risk in radiological terms and relatively low risk in chemical toxicity terms. Although exact data is secret, Depleted Uranium weapons production is a major value-adding spinoff from civil power reactor wastes, producing weapons with proven and high carcinogenic effects, and chemical toxicity effects on both humans and animals, but as already mentioned these weapons are not covered by the NPT Treaty. Annual production of Depleted Uranium weapons, mainly anti-tank ordinance but including others, is as noted secret, but estimates suggest the main producers – the USA, Russia, France, China, the UK (ironically, the five declared nuclear weapons states as defined by the NPT), Germany, India, Pakistan, Israel, North Korea and an increasing number of other countries – manufacture about 4000 tons of DU ordnance per year. Stocks are high and rising, due to low and limited use, although the two Gulf wars against Iraq (1991 and from 2003) and the war against Afghanistan (since 2001) have used an estimated 3000 to 3500 tons of DU weapons to date. Small and limited amounts of DU weapons utilisation are reported in the NATO war against the Gaddafi regime of Libya. Cancer deaths due to these radioactive and chemically toxic weapons, especially in Iraq, are estimated to be as high as 10 000 to date, and deaths will certainly continue for decades ahead. Make no mistake: DU is a killer. EFFECTS OF DU: Many military and medical workers can tell you first-hand the shocking effects of DU on humans. DU weapon stocks in the USA alone are estimated to be more than 25 000 tons, and world stocks are likely well above 70 000 tons. The so-called attractiveness of DU weapons is directly linked to their origin – wastes from so-called civil nuclear power, used to make weapons of war. The basic material, uranium alloys with various levels of radioactivity and chemical toxicity is above all cheap. Secondly, it has major technical characteristics making it almost ideal for producing anti-tank and anti-building weapons. Uranium metal is heavy and dense. It is easily machined. Being radioactive, it is easy to trace and track, for example during weapons testing and through the industrial production process. But perhaps its main trump card is its incendiary nature – that is very easily catching fire and liberating large amounts of heat, triggering secondary fires, for example in tank and armed vehicle fuel reservoirs, and wall claddings and flooring of targeted buildings. This incendiary, heat-liberating characteristic explains the acronym for the biggest single type of DU ordnance: anti-tank shells and missiles. These are called HEAT ordnance, for High Energy Anti Tank. The usual type of shell or missile is called “discarding sabot”, designating a machined uranium sheath or nose cone on the shell, behind which a titanium or iridium high-strength metal dart is positioned, with the explosive “military payload”, for example pentrite or TNT, placed further behind. When the shell hits the armour of the targeted tank, the uranium alloy cone or sheath explodes, liberating fine dust particles which instantly ignite. The heat liberated massively weakens the armor, through which the dart penetrates, breaching the tank hull, enabling the conventional explosive ‘stage’ of the shell to enter and explode. Typical times needed for this sequence are around 400 milliseconds (0.4 seconds). To be sure, all kinds of other dust particles can also be incendiary – for example rice or wheat dust, able to totally explode and destroy 65 000-ton cargo ships in worst-case explosions, phosphates as used in home-made bombs, and aluminium, magnesium or iron dust and filings as used in fireworks and in weapons, but uranium is extremely incendiary. Also to be sure, generous amounts of the uranium dust do not catch fire, are transported by wind, fall to earth with rain, and enter the food chain and water table – causing decades-long cancer epidemics in most affected areas. Our democracy-loving, human rights-defending political deciders with clean finger nails and a clean conscience, who order the use of these filthy weapons would apparently be unconcerned about that. 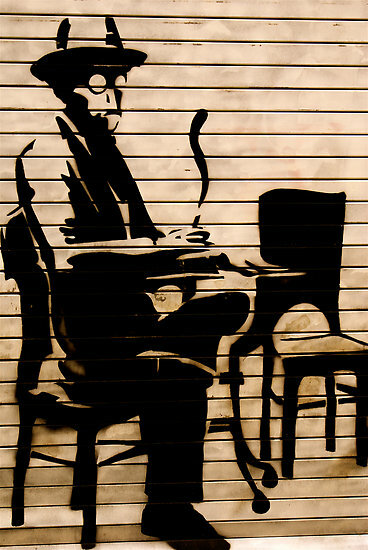 The image of the mushroom cloud has become part of our cultural lexicon. As we know from the Fukushima disaster, and the Chernobyl disaster any industry standard 900 MW light water or other type of reactor using uranium fuel contains a “radiological inventory” roughly equal to 150 Hiroshima-sized atom bombs. Each reactor. Fuel rod stores, and dumps, can radically increase this equivalence, when spent fuel rods are stored, or buried on-site, usually only a few metres under the soil. Depending on the age and type of the reactor, its operational history, and other parameters like spent fuel rod inventories on-site, one single industry standard civil power reactor can be considered equivalent to as much as 250 or 350 Hiroshima-sized bombs in its capacity to kill by radiation poisoning, and totally sterilize hundreds of square kilometres of land – becoming a Total Exclusion Zone for decades ahead. Of one thing we can be sure: no leading politician in any country using civil nuclear power will admit this basic truth. This curious primitive-minded and schizophrenic separation of civil nuclear power, from military nuclear weapons, is all the more hypocritical and evil when it concerns Western leaders almost proudly using DU weapons against Afghans, Iraqis, or Libyans. This is an open and permanent challenge to attacked people and nations to hit back using “asymmetric” and devastating weapons already positioned in the Oppressor’s country: their civil nuclear Dirty Bombs. 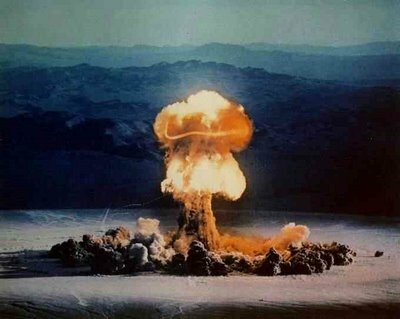 When we wake up to a successful asymmetric nuclear weapons attack – to be sure described as an industrial accident, and then later on as a terrorist attack – it will be much too late to whine “but we didn’t know”. Both Chernobyl and Fukushima have provided all we need to know about the weapons potential of so-called civil nuclear power. Thousands of victims of DU-caused cancers in Iraq and Afghanistan can explain to the educated middle class voters of the countries producing and using DU weapons that these are genuine nuclear weapons – which kill by cancer. Understandably, one single case of using this asymmetric nuclear weapon in the Aggressor countries will be worth millions of words and online rantings, and those who voted for producing and using these weapons – either knowingly or not – will have paid the price of their destructive democratic decision. So when will the discussion begin? It should begin now, before it’s too late. Within the next 15 years as many as 100 industry standard 900 MW nuclear reactors, concentrated in the “old nuclear’ countries will have to be decommissioned, dismantled and made safe – unless the sinister farce of reactor operating lifetime extensions goes on playing. In some countries, especially Germany, Switzerland and probably Japan this farce has already ended or could end very soon. When it does, nuclear debt will go into overdrive from its already high gear shift setting. Nuclear power is capital intensive, lives on subsidies, thrives on false hopes and dies in debt. Putting a figure on how much the nuclear “decomm” story will cost is in fact impossible – and is signalled by the tell-tale anticipative action of nuclear friendly governments, for example the UK, which now sets decomm as an activity that will only need to start a generous or foolhardy 30 or 40 years after the reactor was powered down and removed from the national power grid. Until then, the reactor can stay on the horizon as a contribution to national culture, or something. Decomm periods could or might be as long as 125 years, according to some nuclear apologists: why not 250 years? 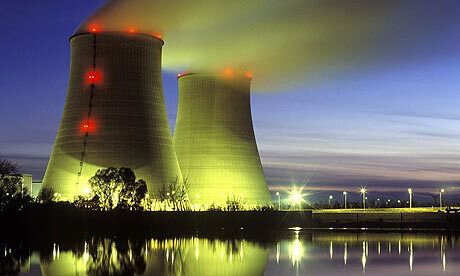 PAST THEIR SELL-BY DATE: Old nuke plants are a massive liability for their host countries. Staying an extra moment in the UK which this month of August 2011 had a three-day low level civil war outbreak, countered by PM David Cameron with the same phlegmatic repressive “courage” as Bashr el Assad facing his own five-month real civil war in Syria, we get an additional glimpse of nuclear power’s real and open-ended risks and costs. In a real civil war, in any country with real nuclear power plants, who exactly is going to tell us these giant Dirty Bombs will not get hit – possibly as early priority targets for insurgents and anti-government forces? In that case, what will be the economic costs and sequels of this? The keyword “disaster” suffers from overuse and erosion, for example the loss of Michael Jackson is a “disaster” for world culture, but nuclear disaster has a real and known meaning. While we do not know and will not know the real cost of the Fukushima 4-reactor meltdown because a period of 10 years is about the minimum needed to get a handle on it, the economic damage and loss from the Chernobyl 1-reactor meltdown has been relatively well costed – over the years since it happened in 1986. At a minimum and in today’s depreciating and devaluing dollars, the cost ballpark starts at about $ 250 bn. To be sure, this is chicken feed relative to the multi trillion-euro and trillion-dollar sovereign debts being juggled in Europe and the USA (or the 1000 trillion yen sovereign debt of Japan), but it concerns real world spending in the real economy. The leverage relation between the real economy, and the high speed fantasy world of sovereign debts, is hard to estimate but we can suggest that $1 spent in the real economy is equal to at least $100 of funny debt fiat money being refinanced, restructured and extended. Next we add that these two nuclear catastrophes, grave as they were, extreme as they were, occurred a long way from dense urban areas with high value properties and businesses, and millions of residents. The chance of “Nuclear Luck” continuing, with rural-type disasters rather than city region disasters, is not guaranteed – but nuclear power’s extreme high costs and risks are guaranteed, sure and certain. Worst-case scenarios for nuclear collateral damage in so-called “mature democracies” facing civil war because of political decisions made by the elite to defend their shrinking middle classes, waking up to the reality they are getting poorer, not richer, are relatively easy to construct. We can likely multiply the Chernobyl tab for economic and loss and damage by a factor of four, for city regional nuclear catastrophes of the future, taking the real economy risk of loss to around $ 1 trillion, a respectable number for players like Obama to put through their teleprompters. The impact of this on already so-fragile national finances and economic confidence in the Old Rich/New Poor countries would be, very simply, catastrophic. Nuclear waste business, as we know, is not business friendly and leads to the very basic reflex of simply dumping a considerable and growing part of the world’s unmanageable nuclear wastes from the current world fleet of around 436 operating civil reactors (depending on how many Japanese reactors are brought back into service). Proliferation risks are in a decidedly Olde Worlde 1950s-way restricted only to conventional explosive nuclear weapons – totally ignoring both Depleted Uranium weapons using and “recycling” nuclear wastes, value-adding too, and the future Dirty Bombs which with almost no possible doubt will be used in coming civil wars and international wars. Both of these nuclear war options are above all cheap, and of course dirty. Since the 1991 Gulf War 1 against Iraq, the war against Afghanistan starting in 2001, and second war against Iraq of 2003, at least 2500 tons of Depleted Uranium weapons have been used by the US, UK and France in these delightfully far away and “over the horizon” Indiana Jones type war theaters – causing a conservatively estimated 10 000 cancer deaths, and as many as 50 000 living sufferers of cancer in Iraq and Afghanistan. This has easily calculated economic consequences – when this concerns white democratic middle class sufferers of the same types of cancers: roughly $ 40 000 for a cancer death and $ 25 000-per-year fur surviving cancer sufferers. 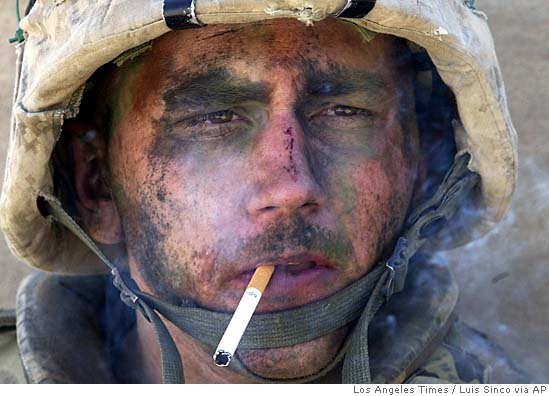 To be sure these cancer deaths and injuries are chicken feed in relation to the civilian deaths and refugees caused by the West’s “pre-emptive” attack against Saddam Hussein’s Iraq and its virtual stock of Mass Destruction weapons, and revenge crusade against the Taliban for so expertly organizing the demolition of New York’s Twin Towers in 2001, exactly like the ratio of real economy damage cause by nuclear power and the notional debt mountains of the formerly-rich countries. However, total civilian deaths in these two completely illegal wars – probably more than 250 000 – and the real suffering caused to millions by these illegal wars will we can hope some day give way to reparations, which will be payable and due, exactly like debt repayment by the Old Rich/New Poor countries. The “cute idea” of recycling nuclear wastes as DU ordnance will generate the economic damage that these filthy weapons should generate. Those who profit from misery will finally pay. To be sure, this cozy morality is fine – as long as the sell-by-date for muddling through is way in the future. When it comes home to roost with the very shrinking number of bird numbers – even bird species – this is another kettle of also rapidly depleting open ocean fish. Turning off the nuclear tap will soon become the only solution. With civil nuclear power plant growth and proliferation already cancelled in several countries, including Germany, Japan and Switzerland and likely to be placed on hold because of nuclear debt and the sheer un-economic nature of nuclear power in other countries – to be sure with China and India coming very late to the party – we can be sure that Nuclear Nirvana’s murky underside of a Pandora’s Box of evils will soon cause a sea shift in ruling elite thinking. Options exist for the rapid removal of nuclear power from the scene. Since 2008, in more than a half of OECD countries exposed to the realities of the sovereign debt crisis, electricity consumption has fallen by double-digit amounts in 3 years. The need for nuclear power is cut by this real world trend. To be sure there are long-term and rising nuclear debts due to accumulated wastes and to the near-term future crisis of reactor decommissioning – which should (in a sane world) only hasten the total abandonment of this failed option for supplying “cheap, clean and safe” power. The options are better known than ever. The pathology of “we didn’t know” – has worn awfully thin after the Fukushima disaster, and the recent close calls around the Fort Calhoun Nuclear facility in Nebraska. The same applies to Depleted Uranium weapons, so nicely reserved for expert commentators to pontificate on – but which cause cancers and economic loss every day in Iraq and Afghanistan. The choices and options are on the table for those who want to admit them. Unfortunately our current political decider elite is congenitally unable to admit them. Soldiering along and muddling through with the deadly, high cost option of nuclear power will continue – but not for long. The U.S. space agency will send an unmanned spacecraft to a nearby asteroid in 2016 and bring back a sample to provide clues about the formation of the solar system, NASA said on Wednesday. The mission known as Osiris-Rex will be the first U.S. effort to bring back a sample from an asteroid. Since asteroids formed from the gas and dust that made up the sun and planets, they are considered good indicators of conditions in the early universe and can provide clues about the formation of the solar system. “This asteroid is a time capsule from the birth of our solar system and ushers in a new era of planetary exploration,” said Jim Green, director of NASA’s planetary science division. Osiris-Rex will travel for four years to reach the asteroid 1999 RQ36 in the year 2020. It will then spend six months mapping the surface of the asteroid, allowing scientists to determine the best spot for the craft’s robotic arm to dig a 57-gram sample. 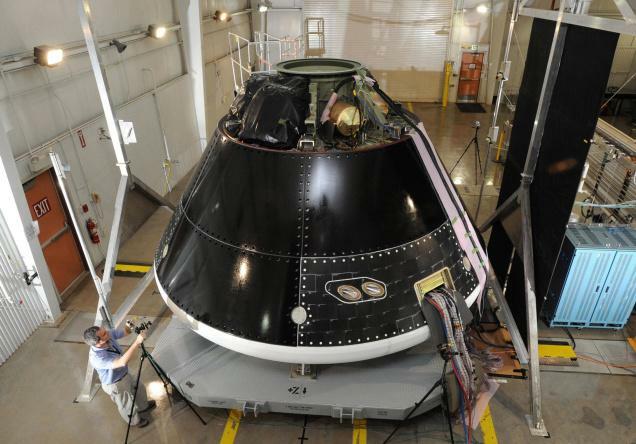 The sample will be returned to Earth in 2023, NASA said. The mission is expected to cost some 800 million dollars. A Japanese mission brought back a sample from an asteroid last year. The space agency also hopes to send astronauts to an asteroid and on Tuesday unveiled plans for a new deep space vehicle. That spacecraft now known as the Multi-Purpose Crew Vehicle is planned to first take astronauts to a distant asteroid before travelling to Mars. This story originally appeared on The Hindu news site. Exposing the event: James Corbett reporting from Osaka, Japan. Since its introduction in the 1950’s, the myths surrounding nuclear power have been worked up into a complex web as massive and multiple as the debts and deficits assailing government leaderships and central bankers in most OECD countries, but like these myth-based no alternatives, the nuclear myths are easy to cut back to basics. In fact arguments about ‘how to use it’ and ‘should we use it’ started even before the world’s first atom bomb was exploded in 1945. How could we use this total power and unlimited energy ? Would it be for good or evil ? How much would it all cost ? The atom scientists of the 1930s- names we still know today, like Fermi and Einstein, argued about those subjects too. But being scientists, they were not especially concerned by what it would all cost. Only later, with the founding of the UN’s Atomic Energy Agency in 1956 – which is essentially a promotional agency for nuclear power – were the key subjects of entrepreneurial effort and the obligatorily linked need for government subsidies brought into the fray. This was sold as creating a future world where atomic arms will be changed to power plant ploughshares. While atomic weapons were expensive, the ploughshares would be cheap if we spent enough investing in them (so they said). THE LOVEABLE ATOM: Don't be fooled by the smiley face, it's more likely a wolf in sheep's clothing. Another handicap for the 1930’s atom scientists that make it hard for them to get an idea how much nuclear power would cost, and which cost several of them their very own lives from cancer death, was that 75 years ago they knew little and therefore cared little about radiation and what it did to living things. The myth of radiation being very ‘interesting’ but not dangerous, was however firmly debunked by the Hiroshima and Nagasaki bombings, but not without a last ditch attempt by the occupying Allied Powers to protect it – by arresting and deporting any journalist who talked about radiation deaths. Estimates of radiation deaths from these two bombs vary widely, depending on the cut-off time interval for making an estimate and also hindered by the Allied Powers blackout on radiation deaths, but in total these were likely well in excess of 100,000. Today with the Fukushima disaster making it suddenly OK to openly doubt that nuclear power is clean, safe and cheap, it is easy to find the radiological equivalent of these 6 industry standard BWR power plants and their fuel ponds. Anywhere up to 15 000 times the combined release of radiation from the Hiroshima and Nagasaki bombs. Under a tight shield of commercial and national security, technological complexity and simple disinterest in almost unlimited health and environment security risks the nuclear industry worldwide… has created hundreds of Doomsday Machines. They must never, ever suffer total meltdown, or damage so serious their radiological inventory can escape. If – or rather when – that happens the consequences can only and will only be dire. This central fact has been deliberately and consistently hidden from the general public since the so-called Atomic Age began. This so-called Faustian bargain or Devil’s bet dwarfs even the incredible costs of what is a totally uneconomic source of electricity, but the financial risks of nuclear power are themselves massive – in fact open-ended like the health and environment risks. A PRICE TO PAY: Fukushima’s Faustian drama unfolds. We could or might find excuses for the sequence of events and overlays of hasty and uninformed, irresponsible or technologically arrogant decisions leading to hundreds of Doomsday Machines being stationed around the planet – each one a gigantic dirty bomb. For many, still even today, atomic energy looks like something for nothing, and this alone has attracted generations of charlatans to work the talk circuits in favour of nuclear power. As we know today, the old nuclear nations which first developed atomic energy from the 1950s and 1960s have rapidly ageing and unsure reactor fleets. By the 2020-2030 period dozens of these reactors will have to be taken out of service. And then what ? Industry terminology for this includes the keywords Safestore, dismantling, entombment and sarcophagus – all of which translate to extreme high costs both in the short-term and on a recurring basis. This also assumes there will be linked and secure long-term high level radioactive waste ultimate repositories, such as the constantly abandoned US Yucca Mountain project, abandoned mainly because of its extreme high cost. Trying desperately to keep itself alive at whatever cost and whatever risk to present and future human and other life on the planet, the nuclear industry has retreated into its laager mentality with technology gimmicks ranging from thorium and other non-uranium fuelled reactors, fusion reactors, and fast breeder reactors. Although no commercial – that is non subsidized and large scale – versions of these quick fixes exist, the high-tech sheen on these claimed alternatives is enough to beguile some weak minded, uninformed and gullible persons. Nuclear power should be given another try, they say ! The key sales pitch for nuclear power- that its costs can be recouped rather quickly from the almost free energy and power it supposedly delivers has been shamelessly used to vend these Doomsday Machines, particularly in the emerging and developing countries, from Sudan to Bangladesh, and Ghana to Mongolia. Exactly how to get this energy that will be too cheap to meter remains a shady piece of logic: massive and complex long-term financing vehicles and packages will be needed. While details are shrouded in more than only commercial and financial secrecy – nuclear power’s national security handle is heavily employed to blackout information – this, of course, is the basic strategy is mercantilist. The 46-nation Nuclear Suppliers Group(NSG) comprises of mainly OECD membership, but also includes countries like Argentina, Brazil, China, Kazakhstan, South Africa, Turkey and Ukraine, as well as some other small non-OECD countries but specifically does not include India. This traces to the 1975 founding of the NSG, in the wake of India’s 1974 test explosion of an atom bomb, and the alarmed but confused attempt by leaderships of the old nuclear nations to lock down nuclear technology but also promote nuclear power. The permanent and basic linkage between nuclear weapons, and nuclear power had been made clear for all to see by the Indian test, but business had to go on as usual. By some strange schizophrenia, the same alarmed political leaderships in the old nuclear nations chose to ignore (or simply not know) that with each large-sized civil power reactor they promote, their suppliers contract to house several thousands times more radiation products than those released by the Hiroshima bomb. Setting aside this sheer madness, for the last 10 years and especially since 2005, nuclear mercantilism has rapidly grown as the effective and real mover. This extends far beyond simple market and sales maximising strategy, and the strategy is likely coordinated at high level among the key members of the NSG, who number less than 15 OECD countries. The sales pitch for nuclear power is that we have to massively invest and spend if we want this unlimited energy. Only then will we touch down in Atomic Nirvana and we will finally have been promised since the 1950’s- energy that is too cheap to meter. Our fuel is uranium and this fuel is very far from rivalling world oil or other hydrocarbons for global turnover, with an approximate value around 13 billion USD in 2010, but as the nuclear industry likes to crow, uranium fuel costs are only around five percent of total operating costs. Uranium supplies are short, and import dependence for most major consumer countries is high. 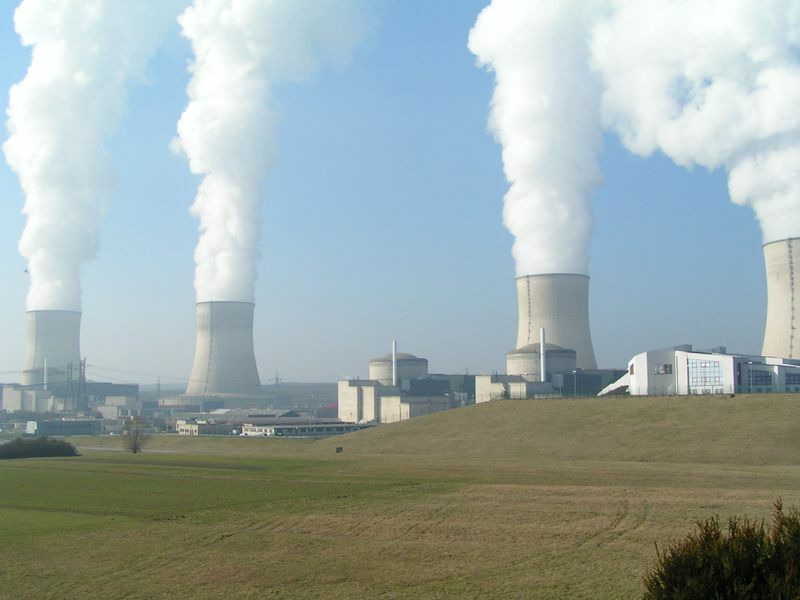 As a result, uranium fuel costs could likely grow, simply due to the permanent supply shortfall of this fuel for reactors and the heavy import dependence of nearly all major users in Europe, Japan and South Korea – incidentally making a mockery of the energy security claim used to sell nuclear energy. Accessing uranium supplies, mainly in Africa and Central Asia is already a bargaining chip for nuclear financial packaging and uranium supply features among the underlying movers in Chinese rivalry with OECD country interests in Africa, and Russian versus Western rivalry in Muslim Central Asia. Creating the debt-and-dependency hook, and recycling uranium dollars is therefore part and parcel of the nuclear sales drive in starkly unprepared low income countries – in the case of Sudan (Darfur is home to one of the three largest deposits of high-purity uranium in the world), a long-term civil war and in many others exposed to serious civil strife. Until the Fukushima disaster threw a cloud over the so-called Nuclear Renaissance announced by the nuclear industry, this prefigured as many as 100 – 125 reactor sales in emerging and developing countries outside China and India in the 2010-2020 period. Excluding uranium supplies, fuel services (waste and reprocessing), electric power infrastructures and other parts of the nuclear value chain this pre-Fukushima sales target implied a global 10-year turnover value of at least 700 billion USD. With leverage and financial packaging through national debt and currency exchange rate linked paper, this could generate far above 100 trillion dollars in tradable value, and above all potentially re-create the long 1985-2000 period of Third World debt-driven dependence on OECD nation financial institutions and private banks. What the atomic energy lobby calls The Nuclear Renaissance is advance warning of uncontrolled and runaway financial and economic disaster. This adds on to vastly growing risks of industrial disaster like we have witnessed this month in Japan, nuclear weapons proliferation, and reactors turned into and used as massive Dirty Bombs while their wastes are recycled as Depleted Uranium ordnance. The so-called ‘Nuclear Renaissance’ could or might see as many as 225 new large-size reactors built in as many as 45 countries, through 2010-2020. World uranium demand – already at least 20 percent more than uranium mine supply – could almost double in the same period. Presently almost unknown to the public and ignored by the media, national security and even the concept and present reality of nation states is under threat. Nuclear accidents, nuclear weapons production, and financial disaster triggered by the nuclear subprime asset bubble now under way are direct challenges to the existence of nation states. Nuclear power has ever less credibility as its costs spiral upward, pumping ever growing amounts of taxpayers’ money to feed the beast in every country treading the nuclear path, as is shown by any rational analysis of the nuclear industry’s energy and economic facts. But the real strategic role of civil nuclear power, despite it being able to yield nuclear weapons in “a few screwdriver turns”, is now economic and financial. DOOMSDAY MACHINE: The risks of nuclear power far outweigh the benefits. Fast increasing numbers of civil reactors, uranium mines, fuel fabrication and reprocessing plants, waste fuel centres and “plutonium repositories” across the world have generated a surge of political and corporate, economic and finance sector elite support. Nuclear power is the new “No Alternative”, shading down and crowding out the reality that massive volumes and quantities of nuclear materials, in any country, destroy all reality of national defense and the nation state. The choice is simple: nuclear power or national defence. In the coming decade we will have to choose between the atom and the nation. Conventional war, like conventional nation states is not credible in a world with 45 or more nuclear power using states. Due to certain assured massive destruction of the economy when, or if , large reactors and nuclear installation are hit… conventional war is finished. Do our political leaders know this, as they sign ever bigger reactor and nuclear fuel contracts with a growing list of low income Emerging economy countries? How many politicians are factoring this into their decision making? The world’s civil nuclear power system is a giant-sized Chernobyl-type dirty bomb offering no energy security or freedom from oil. Quantities of plutonium produced worldwide by civil reactors are already about 22 tons a year – enough for more than 2000 Hiroshima-sized bombs every year. By 2020 this could rise to 3500 per year. Oil saving due to the atom is negligible. In a fast growing number of countries both the size and complexity of nuclear installations is also rising fast. Reactor building costs and prices are exploding, with the inflation rate in 2010 close to 25 percent per year. Only a few types of reactor, especially underground or ‘hardened’ military reactors can resist a wide-body airplane crashing on them. Their costs are astronomic as shown by the European EPR, whose proud boast is that it could also resist a wide-body plane crash – at fantastic cost. But almost no reactor of any kind will resist entirely conventional ballistic missiles, conventional artillery shells, conventional anti-tank and anti-building munitions, and infantry launched or drone launched missiles. The reality is inescapable. All are totally vulnerable to operator error and IT safety system failures. Every single one of them is a potential Doomsday Machine. Reactors will also not resist worst-case seismic damage, as the Earth’s tectonic systems shift to a new long-term period of cooling climate and intensified volcanic activity, driving increased numbers of major seismic events. Due to the world’s uranium supply and fuel reprocessing system being totally fossil energy dependent, the vaunted claim of “Low Carbon Nuclear” is more of a marketing myth than the Friendly Atom. We are promised or threatened the so-called Nuclear Renaissance. This is shorthand for a return to the rates of reactor orders and completions closer to those of the nuclear industry’s previous heydays and high times, dating from the first Oil Shock of the 1970s and by overdrive into the early 1980s. At the time and for 10 years one new reactor came on line every 17 days. Uranium prices and reactor construction costs exploded. The result was simple: the nuclear asset bubble imploded. The industry downsized, restructured, forced mergers took place, tens of thousands of jobs were lost – and Big Government, that is the taxpayers, paid for the party. Today, like the 1970s, nuclear power is again promoted as the fast track to energy independence – and for delivering supposedly Low Carbon energy to fight global warming from burning fossil fuels. To be sure, the rationale is bizarre: nuclear energy claims to deliver energy security, but there is massive import dependence for uranium supply in nearly all nations using civil nuclear power systems. This is perhaps because uranium exporter countries are not yet seen as “terror supporting regimes”, not yet accused of overcharging for their uranium exports. This will soon change as uranium prices spike up to unknown peaks. Nuclear boomers dream in print they have the Final Solution to all safety risks, cost limits and uranium fuel shortages, that might or could bar mankind’s route to nuclear powered Universal Prosperity. This essentially cornucopian dream – very ironically – came from the fusion of two supposedly total opposite world views. In the deep Cold War period of extreme American defence of capitalism, and extreme Soviet defence of totalitarian state control, through the 40 years from the late 1940s until 1989, both regimes placed all their military faith in nuclear weapons. Both also linked civil and military nuclear power, then fused them into a nuclear technological utopia. This ideology-spanning facet of the all nuclear solution, joining civil and military in a seamless web of myth, makes it unsurprising that China and India, and other big states, or would-be big states of today are fully embarked in the Nuclear Renaissance. INTERDEPENDENT: Both civil and military nuclear industries are joined at the hip. Certainly for the Big 5 UN Security Council declared nuclear weapons states, any pretence that civil nuclear, and military nuclear are not 100% linked and totally interdependent, is a complete farce. All the Big 5 Security Council states started their nuclear story with a fevered race to develop nuclear weapons, then made a few screwdriver turns to spin-off and start their civil nuclear systems – always with fantastic government cash subsidies. 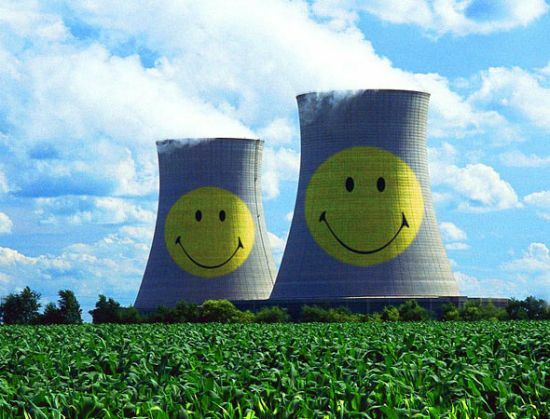 Despite this, by a strange form of mass schizophrenia among the political elites of these states, nuclear power is imagined to be cheap and economic – and of course… safe ! Yet, the reality of dirty bomb capability for each and every large sized reactor anywhere on earth, is stoically denied. So as we wait patiently in the shadow of the fallout cloud, the myth of the nation state continues. The permanent denial of civil and military nuclear power being one and the same has likely favoured the most proliferative-possible, most vulnerable-possible civil nuclear systems worldwide, both in the “old nuclear” countries, and in the 15 or more new nuclear states that the Nuclear Renaissance may bring. In any case, the historic reality of international wars started by one nation and fought against another nation is now obsolete. Any nation with sizeable nuclear installations on its home territory is vulnerable to devastating attack using entirely conventional, non-nuclear weapons of the type possessed by dozens of states and nations, today. This reality hides the awesome question: who will look after nuclear power using states when they have suffered economic, political and social meltdown in civil, international, or terror wars ? Who can step in to prevent worst-case damage all the nation’s nuclear plants and fuel facilities? If we ask the key question: “Can we be certain this awesome challenge is understood by our political elites and the opinion formers who control our press and media ?”, and still all we hear is silence, there is no answer. The fully globalized economy is described by many as a certain death sentence for the nation state. Nuclear power proliferation sets the exact same No Future full stop for the nation. With a fully developed global nuclear power system the historical trend or social instinct of the nation state has no place and must disappear. To be sure, large nuclear reactors and facilities will surely serve, as they already do for Iran today as last-ditch anti-invasion defence, but they are also prepositioned enemy weapons for hostile opponents not necessarily wanting to invade and occupy. Only to destroy. The asymmetric war potential is almost open-ended. This can inject new themes for the flagging “Bin Laden industry” of technology-terror potboiler books, films and docu-dramas, but the reality of nuclear power’s threat to the nation state must be addressed. In a civil war, which reactor will get hit, first ? So what are we left with? The linked illusions of the nation state and national security must be abandoned, if the world’s political and corporate elites want to pursue the chimera of cheap and safe atomic energy. Otherwise our leaders will have to stay hopeful and ignore the civil nuclear overkill threat, while they continue to pump state funds into the economic failure of nuclear power. 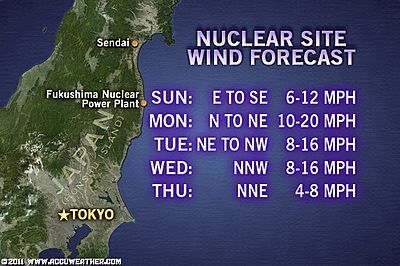 When we wake up to hear the incredible and fantastic worst case has already happened- as we have these last few weeks with Japan’s own major accident, or later because of operator error, or even in the shape of purposeful military or terror attack on large civil nuclear installations, it will be too late – much too late. “The Centers for Disease Control and Prevention and public health experts do not recommend people in the U.S. take precautionary measures beyond staying informed,” said Obama, which is precisely what those affected by both Chernobyl and the 3 Mile Island accident were told, trust your government, a mistake that led to nearly a million deaths in the case of Chernobyl and a dramatic rise in cancers in the case of 3 Mile Island. Fallout from Japan's Fukushima nuclear reactor pass through LA sometime today. It was also what ground zero workers heard in the days after 9/11, that the air was “safe to breathe,” a contrived cover-up on behalf of the EPA and the White House that led to thousands of crippling illnesses and deaths of firefighters, police and first responders. MEDIA BLACKOUT: One of many YouTube reports on the ground getting through from Japan this week. This guide ‘When An ill Wind Blows From Afar! (Like from Japan Fukushima reactor)’ deals specifically with radioactive fallout that originated from afar, like a Chernobyl in the past, or Iran in the future that’s had its nuclear facilities bombed, releasing radioactive contamination into the atmosphere, or a North Korea gone mad, etc. Cubans were certainly prepared to weather the Nuclear fallout storm. This guide provides panic dispelling knowledge so people downwind can more promptly initiate appropriate protective actions, as required. America’s next nuclear concerns may not have originated here, but be instead from a nuclear bomb or nuclear release overseas. Related: Infowars has some of the only Potassium Iodide in the U.S.